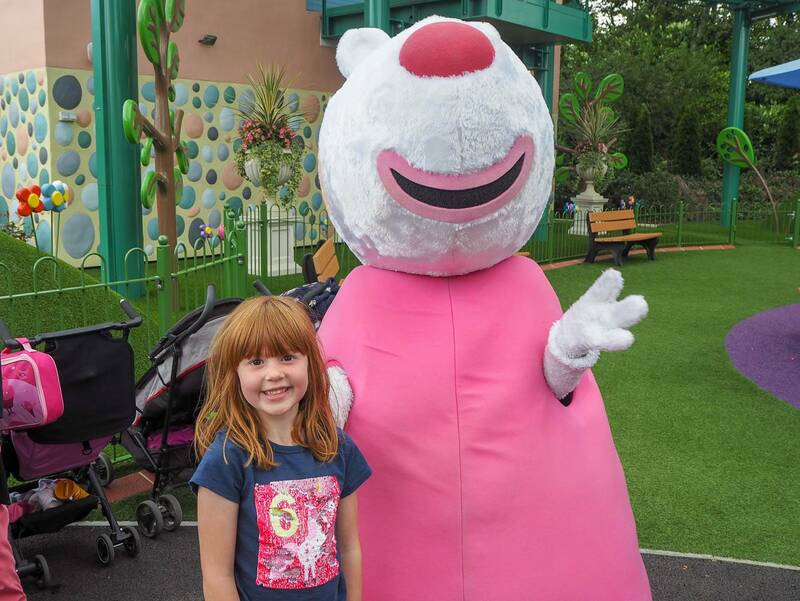 Peppa Pig has been in our life for about 5 years and she has been loved by both my girls. 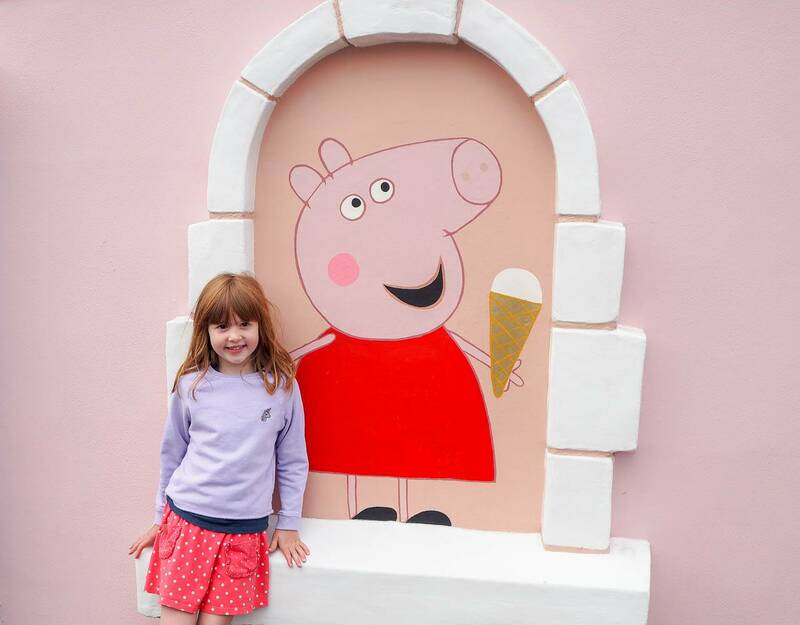 Holly loves to play with her Peppa Pig toys, her favourite duvet is her Peppa Pig one and she would watch it on the television all the time if she could. I thought now Alice was 6 years old, she would’ve grown out of it, but she will still happily watch it with Holly. 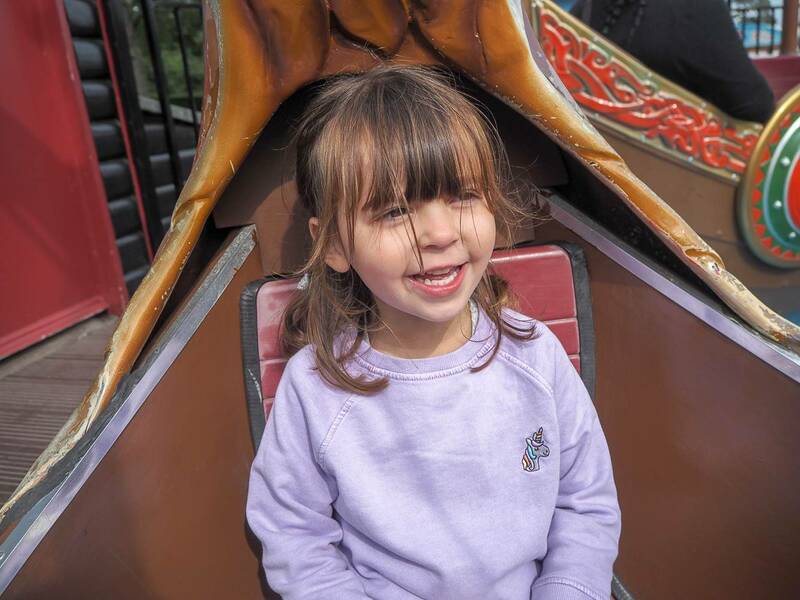 She still laughs at Daddy Pig and she was still VERY excited that we were going to Paulton’s Park for Holly’s birthday. 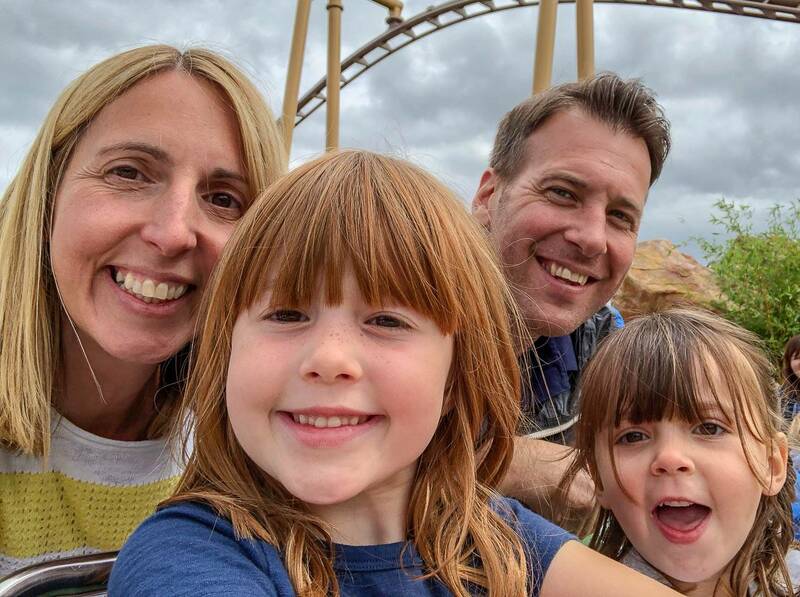 My little Holly turned 4 last Friday and with all her presents unwrapped and the girls excitement levels on a new scale, we packed our picnic and headed to Paulton’s Park to have a fun day out. My parents came along with us and this of course made the girls even happier. The gates opens at 9.30am and we arrived just as they were opening. You can make your way a little way into the park and wait for the park and rides to open at 10am. 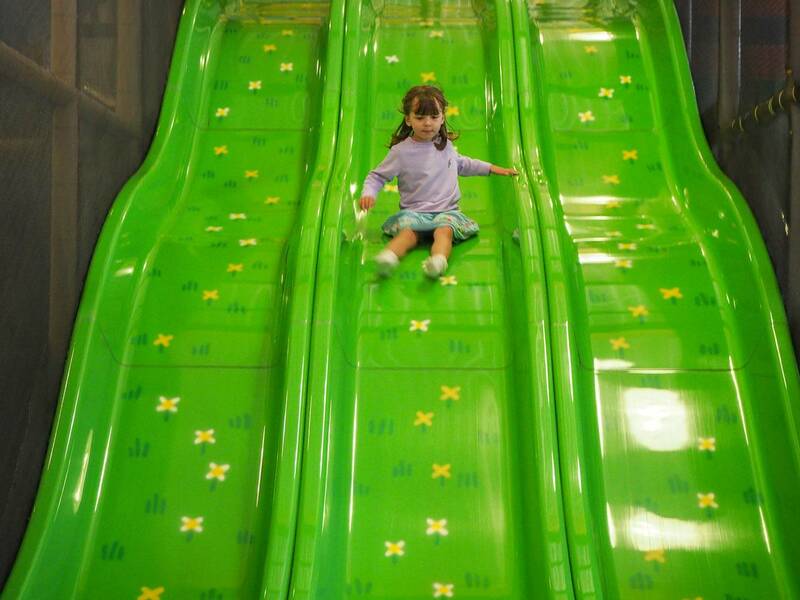 We were all ready to make our way to the new rides, as we knew these would be the most popular. 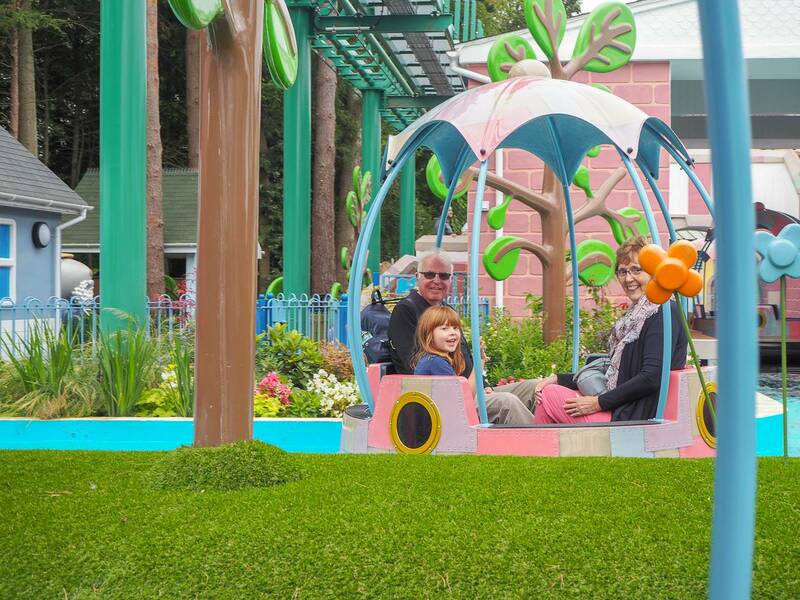 Holly and I were lucky enough to try out the new rides before they opened and Alice couldn’t wait to try them out. We went straight to Grampy Rabbit’s Sailing Club, it worth noting if you’re a larger family it only seats 4 people on each boat. As there were 6 of us, we had 2 boats, with 3 on each one. Alice loved going on with Nanny and Grandad. Holly loved waving to Alice as we made our round and pointing out to Daddy the Queen as we went passed her. As soon as we finished we headed straight over to the other new ride, The Queen’s Flying Coach Ride. On this ride we were all able to go on together, which was lovely. 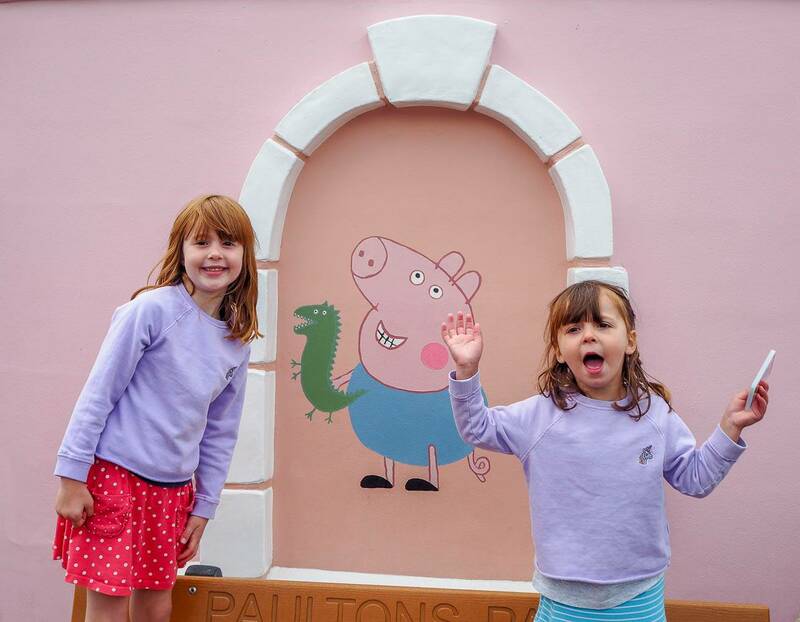 From here you get a really good view of the rest of Peppa Pig World and we could spot which queues were best to head to once we got off. When we left the ride, Suzy Sheep was there saying hello to everyone. Normally my girls run a mile when they see people in suits. But Alice surprised us all, by wanting to go and say hello. She even gave her a hug. Look at face, she is so proud that she did it! 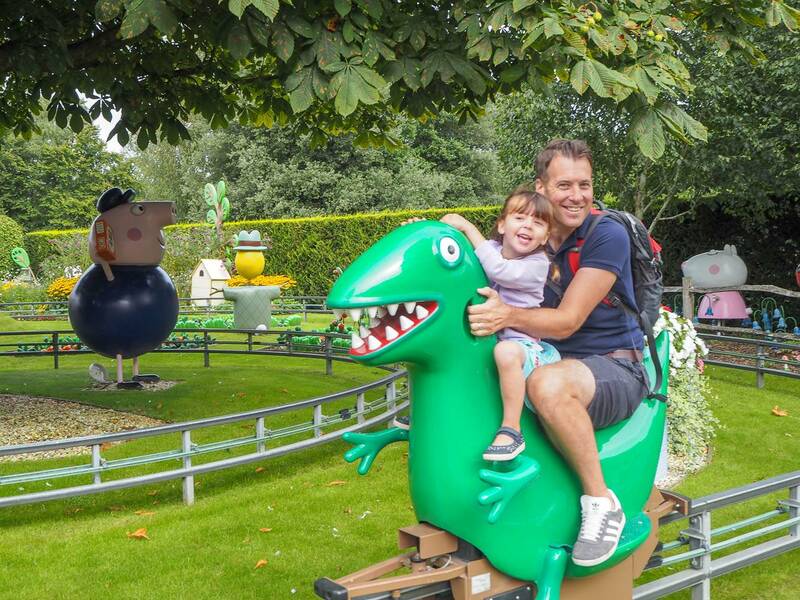 Alice loves riding George’s Dinosaur, I think its because she can ride it on her own. The queue was surprising shorter than normal, but then I noticed a sign to say they no longer let adults ride it without a child. I was so pleased to see this and I think this is why the queue was a lot better. I don’t think it will be long before Holly can ride it on her own too. Why are my babies growing up! 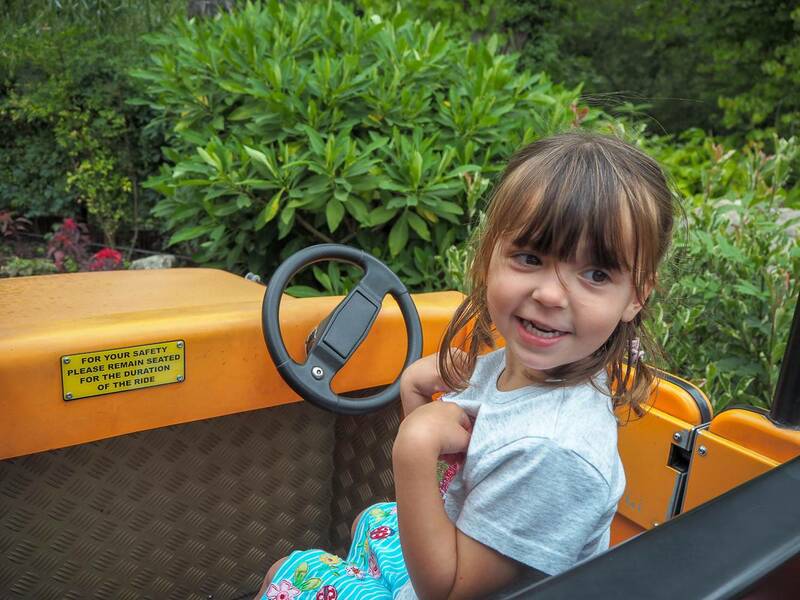 Holly’s favourite ride is Daddy’s Pig car, she thinks she is actually driving it and I love that innocence in her. My parents went on with the girls, as they love to drive together. Look at those happy faces! 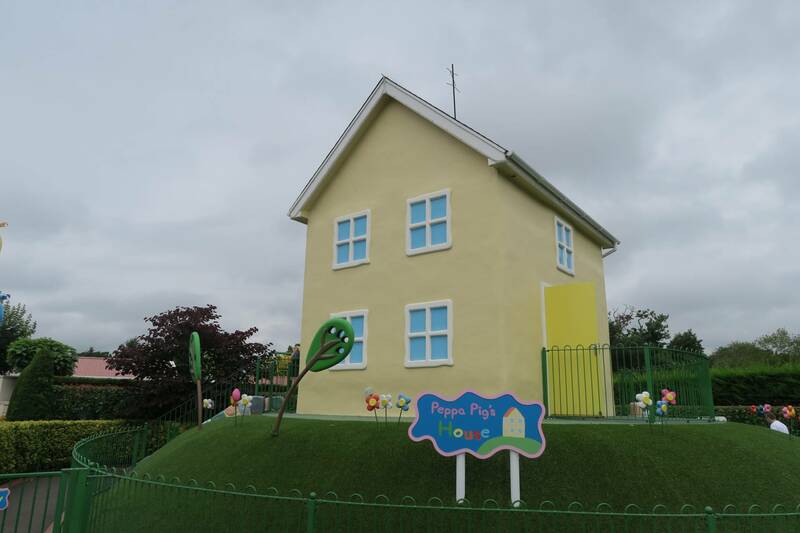 No trip is complete without going into Peppa Pig’s House, the girls always run in there to see Peppa and her family. Just before we headed to find somewhere to have our picnic, the girls really wanted to go into the soft play. You have to wear socks at all times, so make sure you have some with you. Over near the new rides are some picnic benches with large umbrellas over them. The weather was starting to take a bit of a turn and we decided to have our picnic there. It’s a good job we did as the rain arrived while we were eating, but we were all nice and dry. Thankfully the rain was just a short shower and by the time we had finished eating the rain had stopped. 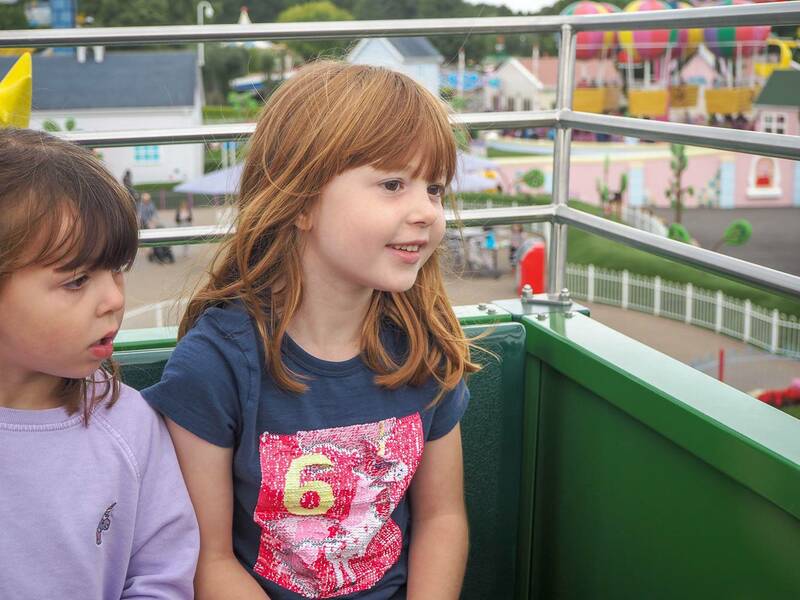 We then headed for the last couple of rides in Peppa Pig World before we went over to the Paulton’s Park rides. 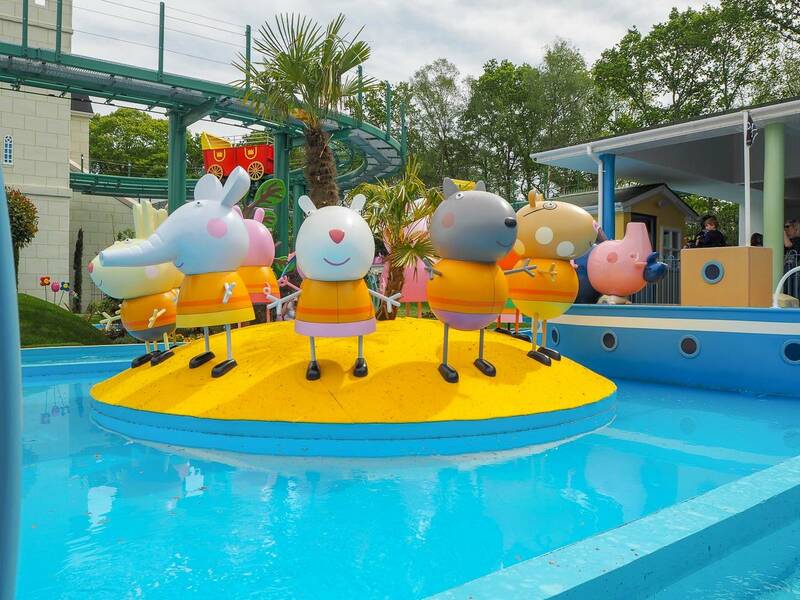 Miss Rabbits Helipcopter is always one of the busiest rides, but it’s also one of their favourites too. 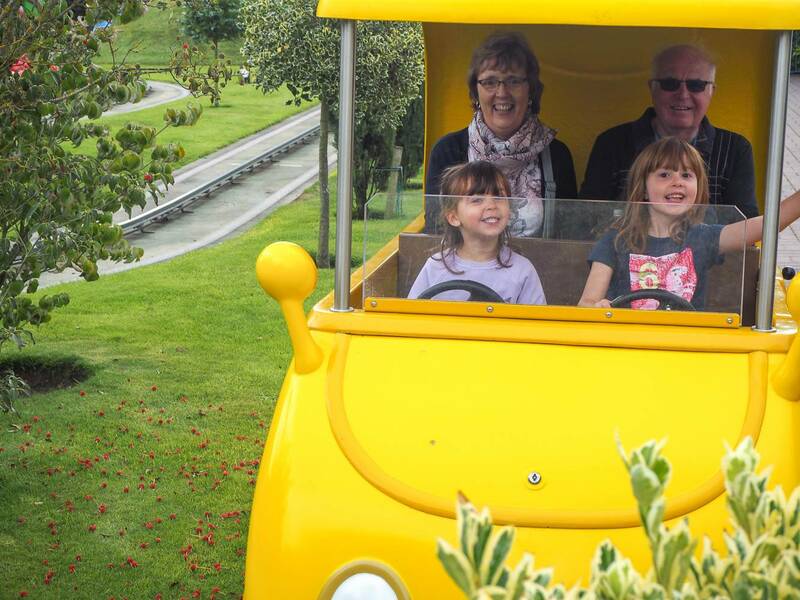 And you can’t beat a ride in Grandpa Pig’s boat. I’ve got a photo of Alice by this wall every year since she was 2 years old and I love to see the changes year on year. 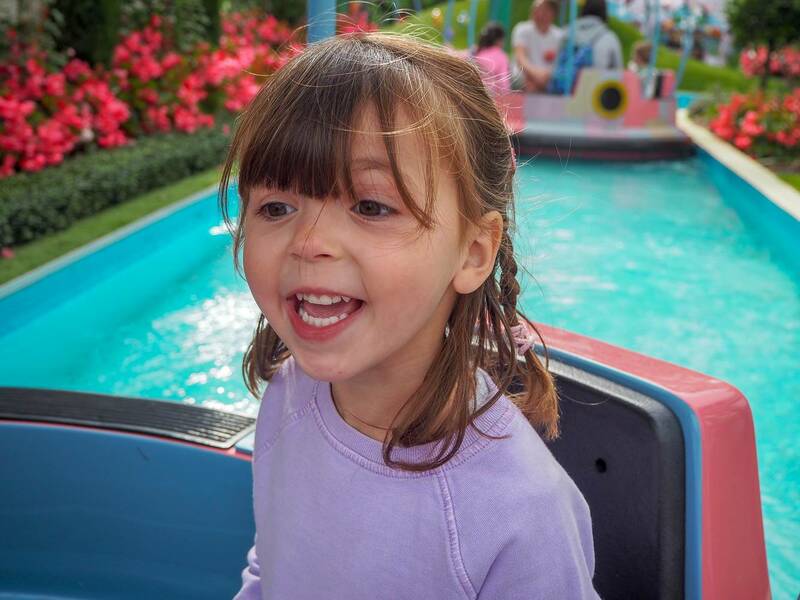 When Holly and I came we found some lovely little rides that she could do on her own and she couldn’t wait to go and show Alice. 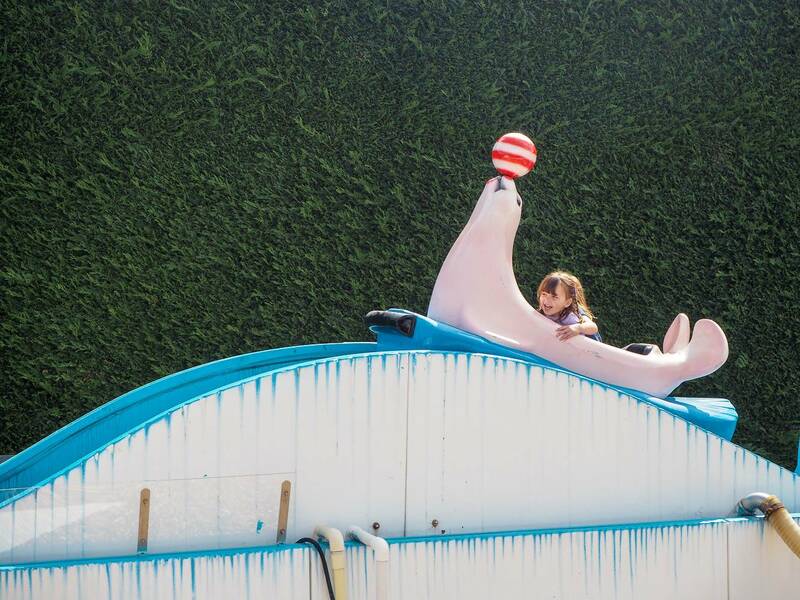 This seal ride always brings out a big happy face. Alice wanted to go over to Dinosaur Kingdom and drive the jeep that they have. We split over 2 cars and Holly loved driving Nanny and me around. There are a few times that you get a bit sprayed with water and we were not expecting that! 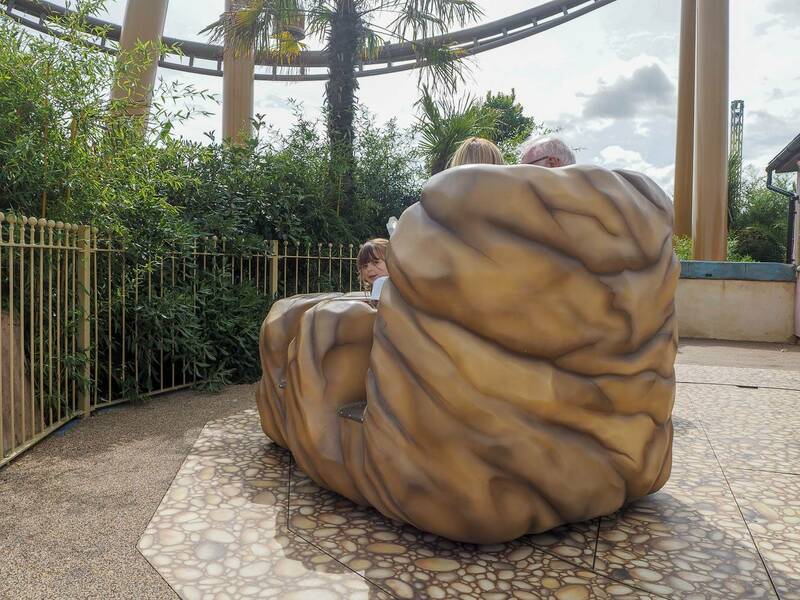 I had seen a ride that I thought the girls would like called Boulder Dash and there was only a 5 minute queue. 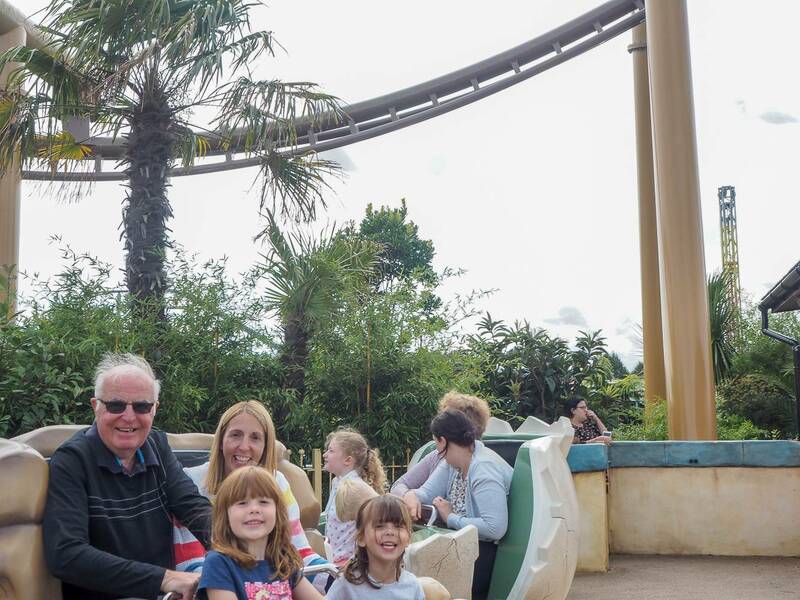 The 4 of us went on and we were sat in the Dinosaur Egg. It was quite fast, and you spin around. The squeals of happiness coming from the girls told me that they loved it. They loved it so much they wanted to go on it again and as the queue was so short we did. This time my dad came on with me and the girls. 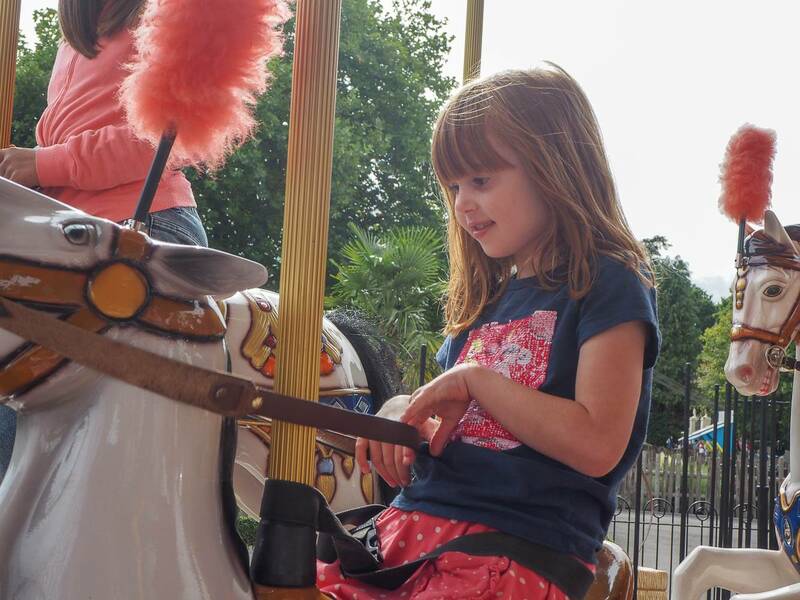 The girls love the Victorian Carousel and as I have to stay on with Holly, I love that there are seats I can sit on while they ride the horses. We then spotted the Viking Boats and there was no queue and we jumped onto them. 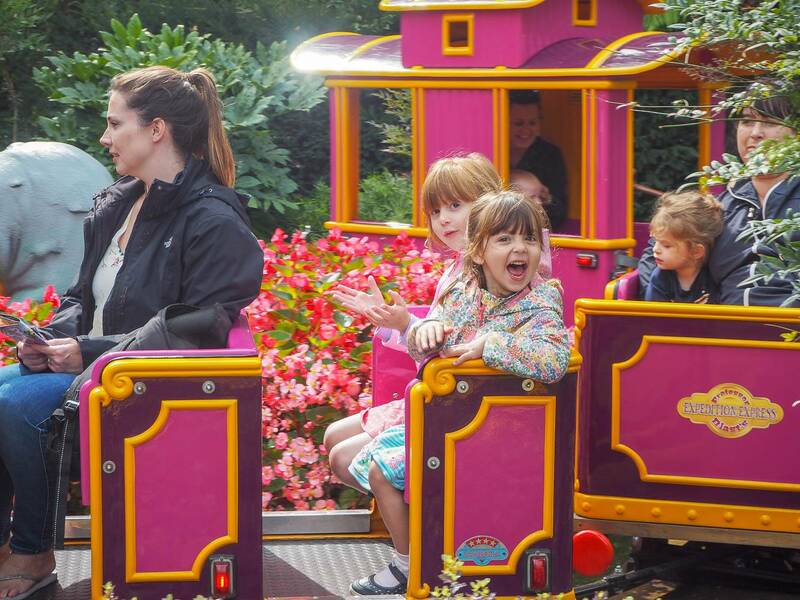 We had time for one last ride and the girls went on Prof.Blast’s Expedition Express, train ride. 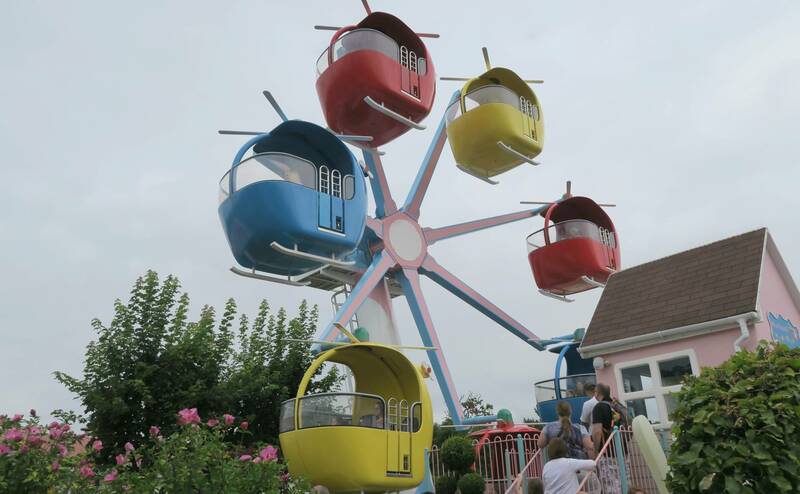 They were also ridiculously excited that they could go on it without an adult. 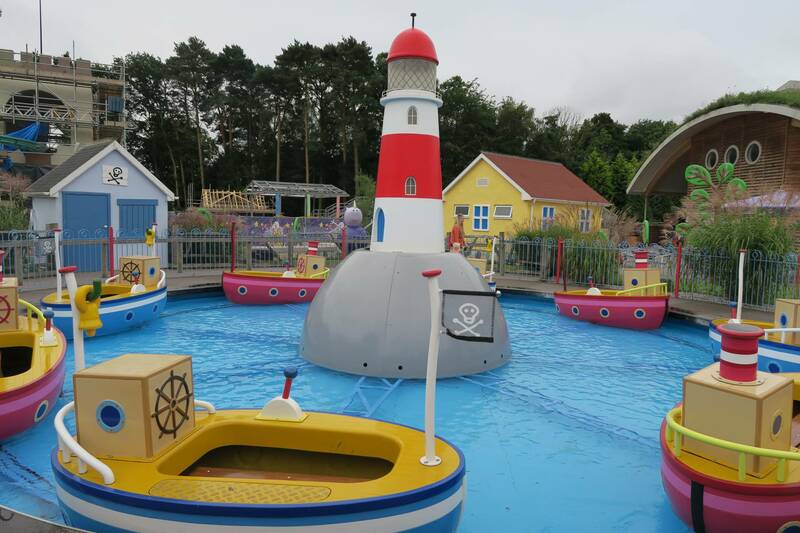 Paulton’s Park has become a yearly trip for us, it’s only 50 minutes down the road and we always have a brilliant day out. 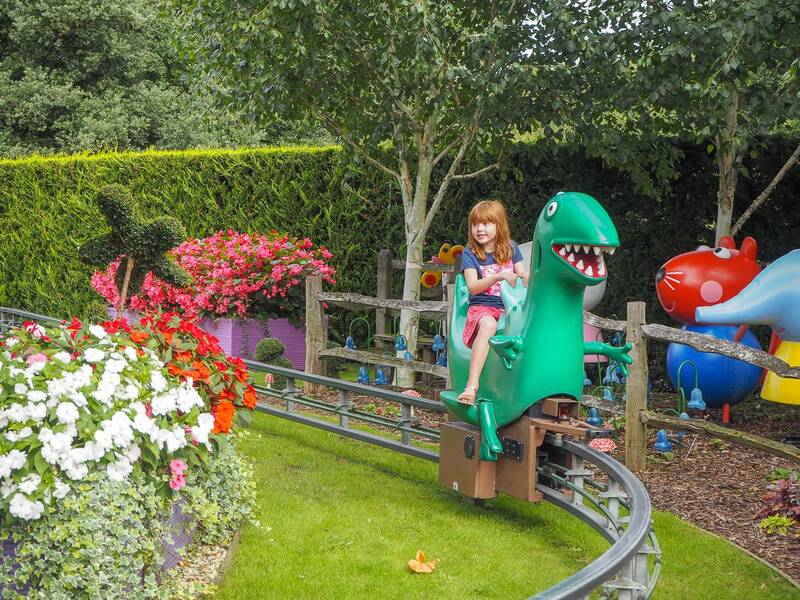 Paulton’s Park entry fee is £133 for a family of four with children under 1 metre free to enter. 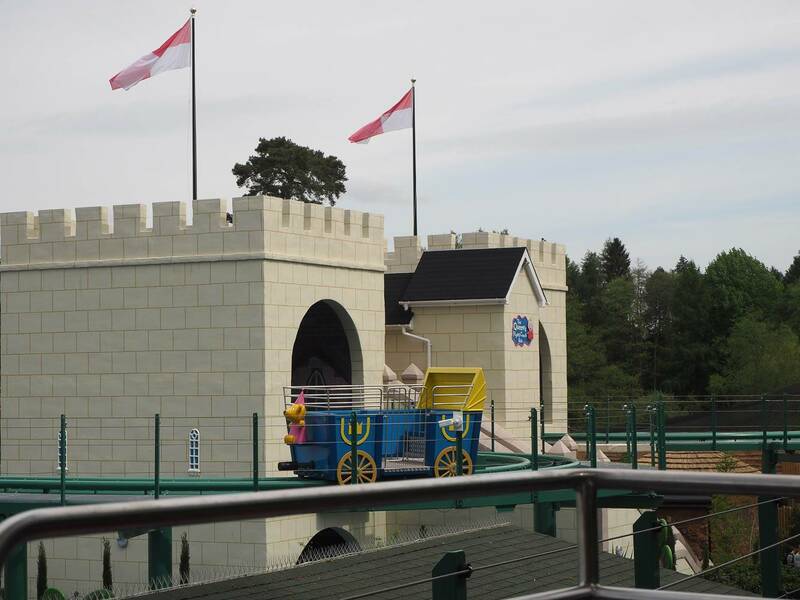 You can save up to £25 by pre-booking on line. 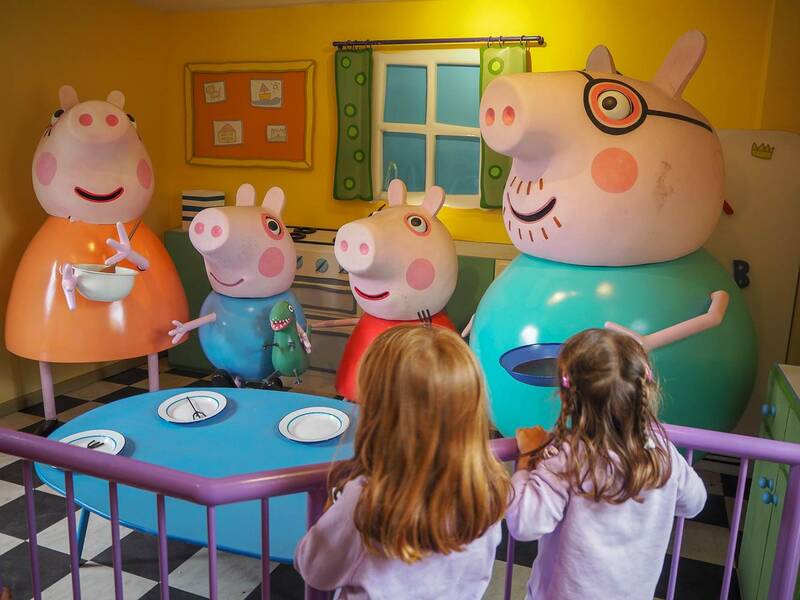 It was the perfect way to spend our little Peppa Pig Fan birthday. Holly told us as we drove home, how much she loved it and it was the best birthday. You can’t ask for more than that. Disclosure: We were kindly invited to visit Paulton’s Park. All views, opinions and photos are my own. What an amazing park. My kids would love the rides here for sure.